Prashant is the Founder & CEO of 1mg, India's #1 m-Health application. With over 6 million downloads, and 80 million annual visits, 1mg is the favorite app for health consumers across the country. Prashant was born and raised in New Delhi. 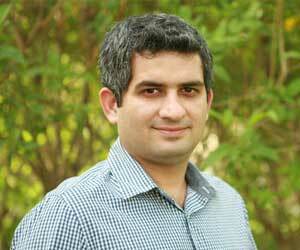 He is an MBA from Stanford Graduate School of Business and graduate from Indian Institute of Technology - Delhi (IIT-D). Prior to 1mg, Prashant was the co-founder & managing director of HealthKart, which he started in 2011 and took it to the position of India's #1 Nutrition eCommerce company. Till 2009, before he returned to India, Prashant worked at McKinsey & Company in San Francisco where he focused primarily on healthcare. He started his career with the Business Leadership program at Hindustan Unilever India, where he worked in roles pan Asia for Innovation development and operations. Prashant returned to India in 2010 to pursue entrepreneurial opportunities in the burgeoning healthcare technology space, where he then co-founded HealthKart, before setting up 1mg in 2015.